It began with a proper young woman from Boston, and a graduation gift of a Newfoundland Dog from England. That gift in turn became a passion for pedigrees, and then a handful of puppies. Newfoundland puppies. Puppies and young dogs brought from England to help revive a breed in danger of disappearing in the US. It was the spring of 1928. Miss Elizabeth Loring was doing her best to acquire and breed on the best of the best. A wonderful breed , the Newfoundland, but small in numbers, known by the well informed for its great strength, durability, kind nature and wonderful temperment. The United Kingdom lamented the loss of their champions to this young lady from Beacon Hill but were certain these dogs would cause a sensation on the US show circuit. And they did. 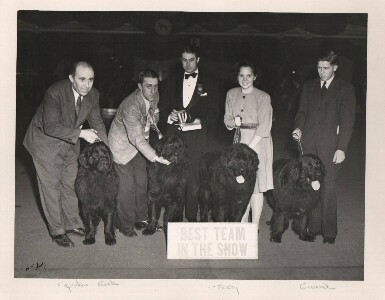 Champion after champion took top honors at the Westminster Kennel Club dog show, among others, for year after year, until Elizabeth Loring Power was asked to become a judge. She was glad to do so. She had clearly demonstrated her knowledge of showmanship and breeding for quality, but she also knew in fairness that it was time to allow the other competitors a chance to shine. And on it went, from Newfies, to Corgis and eventually English Setters too. 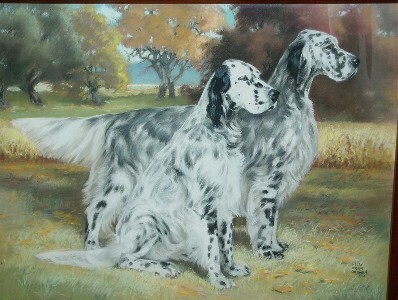 Always striving for the best of bloodlines, conformation, quality and temperment. All together. The same qualities that Elizabeth held in high regard in a horse. Throughout her life Elizabeth had always had a love of horses. As a very young lady she had become an accomplished rider, jumping handily as all proper ladies of the era did, sidesaddle. Unfortunately for the first few years after Elizabeth had married D.Davieson Power she had put aside the passion for horses. But children change many things. 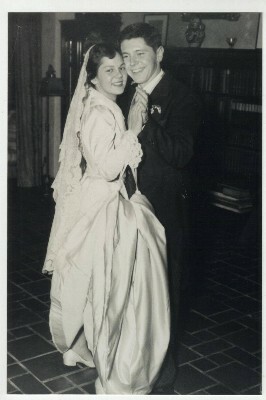 After Elizabeth and her husband had moved permanently from Beacon Hill to the family's summer residence, a farm in Ashland, Massachusetts she and D.Davieson Power adopted a daughter, Susan. Susan grew into a lovely young lady, and joined the professionals in handling and showing the family's dogs. She ALSO became fascinated by pedigrees. And horses. In the winter of 1949 Susan, or Sue as we know her, met Keene Annis, a lover of all forms of horsepower- and promptly married him in 1950. By 1952 the trio of Elizabeth, Sue and Keene had developed a love for the Morgan horse in particular and hired a trainer, John Lydon to help them acquire, and show, quality Morgan horses.